Guest Blogger: Hippy Goddess Larissa Phillips | Home Cooks Unite! 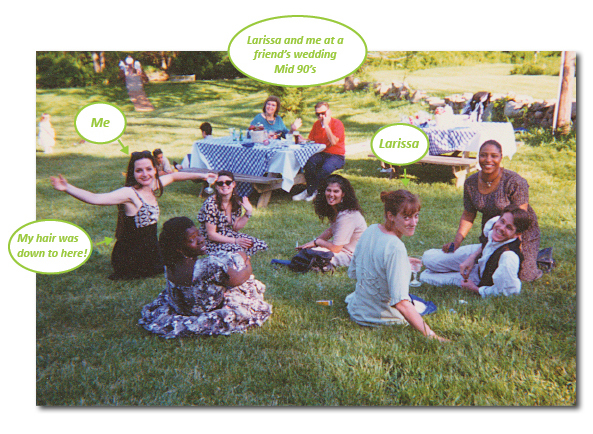 I met Larissa in the 90’s when we were waitresses together at a tapas restaurant in Philadelphia. We were broke and fabulous and trying to make our way in the world while serving paella to Center City regulars. Over time, things changed, and we both left the restaurant business. Larissa moved to Brooklyn, got married and had two children. 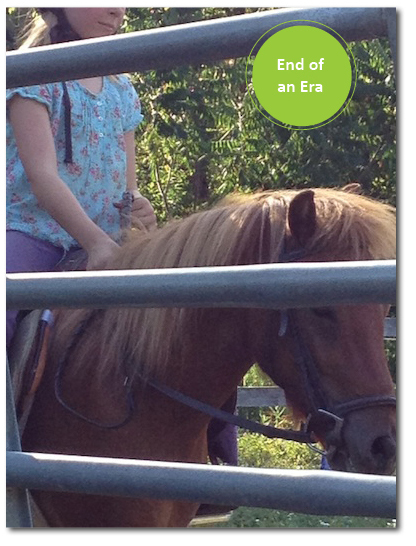 As her kids got older, Larissa started dreaming of living life on a farm. I reconnected with her on facebook around this time and was skeptical that anyone could make such a drastic life change work, but she did it! She and her family have settled into a lovely life in upstate New York and couldn’t be happier. She’s like a modern day Eva Gabor from Green Acres. Larissa is a great writer, and she began documenting her new life in a column called Diary of a Transplant for the Upstater, an online magazine about life in upstate New York at http://www.upstater.net. I’ve read every post, and her most recent was so fantastic I had to share it. 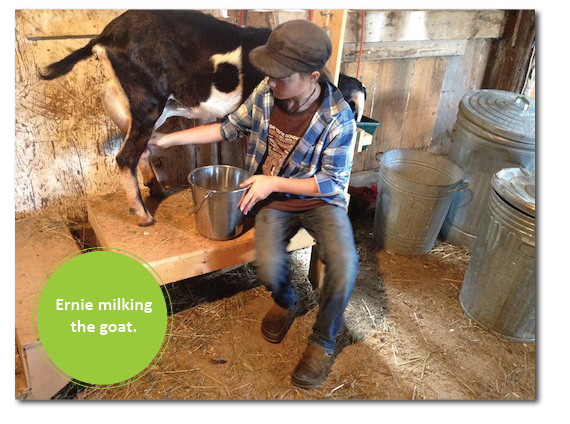 I asked her to include a recipe or two that capture her life on the farm, and she was happy to oblige. I highly recommend following her blog – she has a way of making ordinary moments pang with emotion. You’ll love it! That was our first summer out of the city. It was great and everything, but “spectacular”? My mother lives in the White Mountains of New Hampshire, and I grew up partly on Nantucket, and spent a winter once skiing in Bozeman, Montana. If anyone wanted to talk spectacular, I had some places in mind that beat the Catskills. 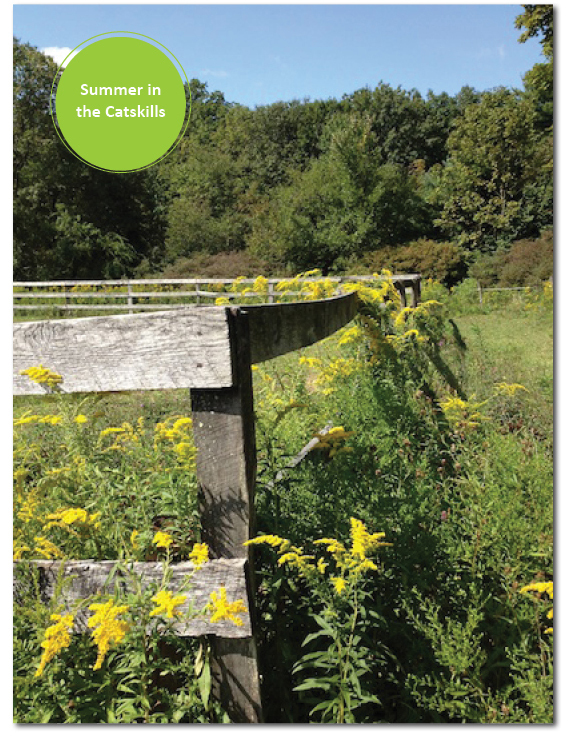 But now, our third summer up here is coming to an end, and the goldenrod is out, and I know exactly what she means. I am ready to go into mourning that this spectacular season in the amazing region is ending. It’s partly that we accomplished so much — taking our garden so far, building our farm, raising our goats, finally doing the fair. We worked really really hard. But we also played hard, slept in, held parties, hosted friends and family, drank summery cocktails, ate so well. After so many years in the city, it is still a thrill to have enough space that we can so casually welcome friends and family to visit and stay over, or to casually suggest a potluck and have it morph into something huge. Our garden grew exponentially. 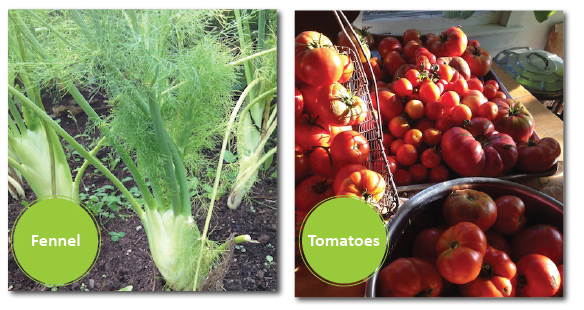 We built a hoop house and a raised bed garden for our tenants, and added three raised beds in our own garden. We are on our second round of potatoes, and grew arugula all summer long, and pickled jars and jars of cucumbers. We also grew around 60 tomato plants from seed. We made sauce and ketchup from tomatoes, and finally just started stuffing the tomatoes into Zip-Loc bags and throwing them in the freezer. I’ll make sauce in January. It was a great season. Our tiny little bantam hen Baby is about the size of a robin. 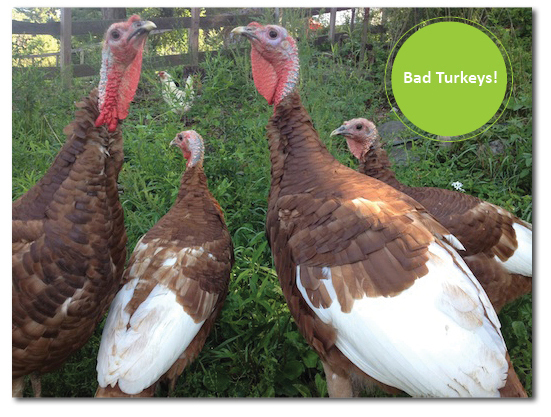 She is a tough little broad though, who holds her own with the big chickens. When she disappeared a few weeks ago, we were all really sad about it. But then she came back! 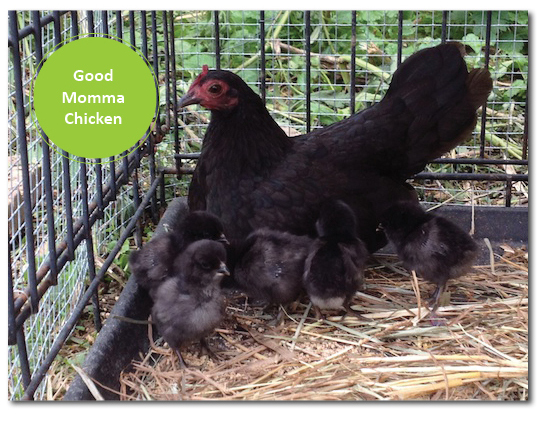 With six tiny puffball chicks orbiting around her. She is a great mom. 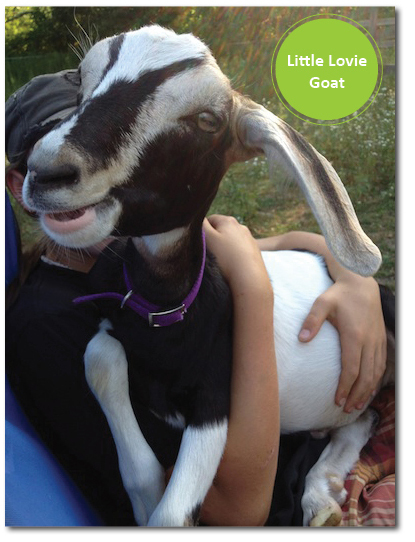 We lost two goats this year, both to issues possibly related to nutrition. Our goats are in a pen, and we decided they needed more time browsing for forage. 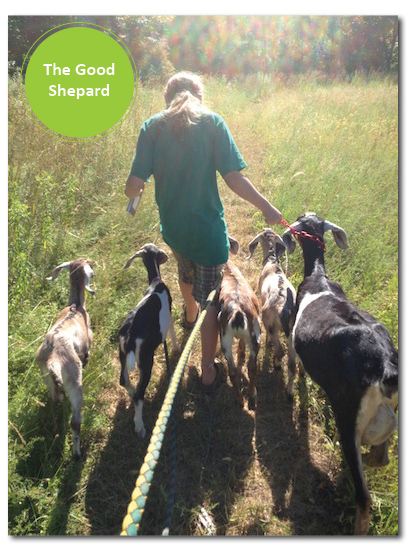 Here’s Ernie taking the goats into the woods for their daily graze. Now we have them in a moveable pen in the pasture, but it was always sweet watching Ernie take them out, like he was participating in an ancient ritual. Conor, our most catlike goat. Deep down he is a lap kitty. Their last season as a perfect team. Megan outgrowing this most perfect, sweet, wonderful little pony is the saddest thing. Okay, so it wasn’t all good. 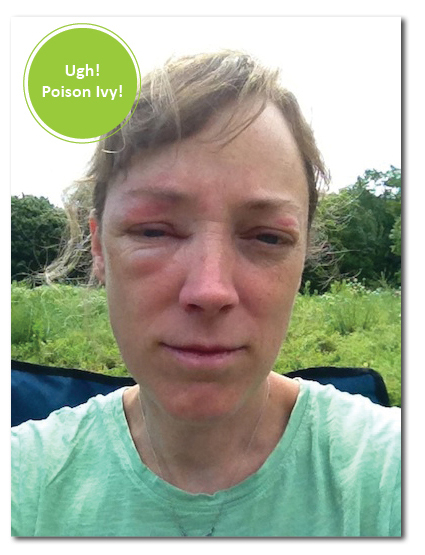 Here I am with poison ivy in my eye. I don’t think there was more than a few days this summer in which I did not have poison ivy somewhere on my body. This time was clearly the worst. If I don’t look truly, deeply miserable, let me assure you: I was truly and deeply miserable. I went another day after this picture was taken before giving in and going to get a steroid prescription. Squash! Crazy squash. 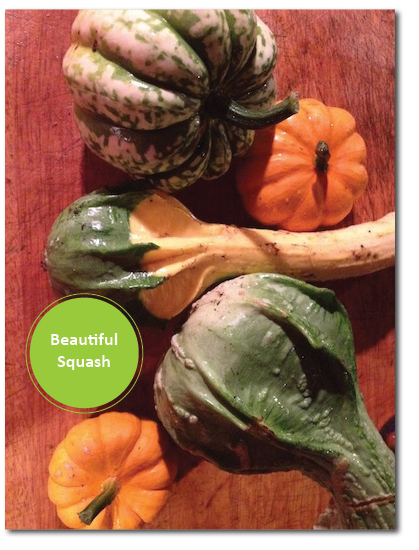 Gremlin squash. Carnival squash. Next year I’ll have a garden just for squash. I love growing squash. 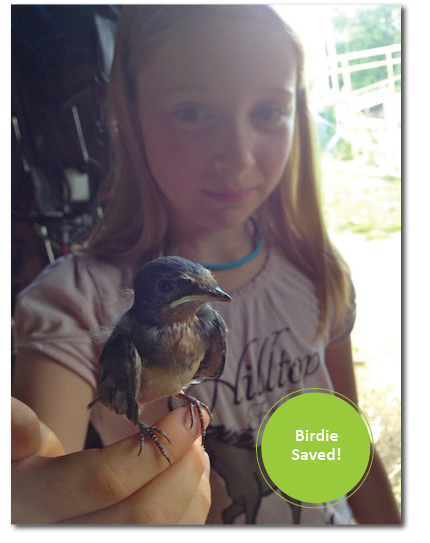 Megan helped a fledgling barn swallow find its way onto a good perch. Our first season with a fresh doe. Ruby provided all our milk needs this summer. Ernie did all the milking and all the cheese-making. I did some of the ice cream duty. Lovely, exciting, and delicious. 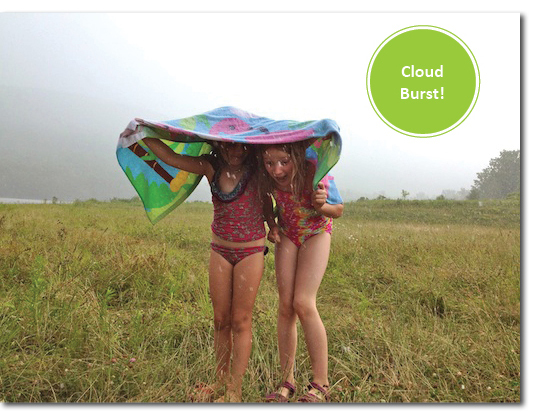 Fourth of July cloudburst at Colgate Lake! 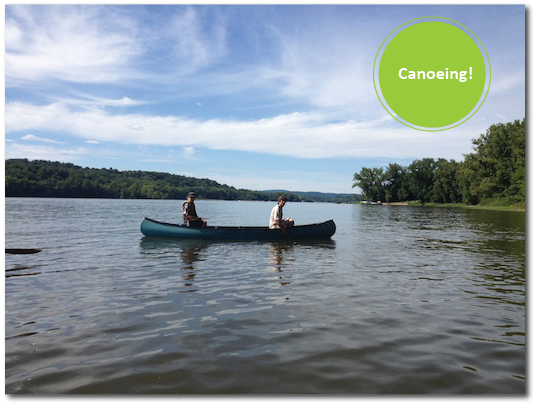 Canoeing on the Hudson. Oh my god, we have to get a canoe and do this every week. We went with a group of friends in a little flotilla of canoes and kayaks. So much fun. We are more settled this year, and I ascribe our perfect summer to our deepening sense of community and friendship in the area, our greater knowledge of local attractions, and the very personalized life we’ve carved out here through sheer, satisfying effort. We don’t have a lot of money. Our house isn’t finished. Our list of tasks is endless. We are still figuring out the education piece for the kids. But we are so happy with our lives up here. Will the next three seasons be so awesome? Can’t wait until next summer. Trim the fronds and thin stalks off the fennel bulb, and cut lengthwise into 1/2″ slices. Toss in olive oil and either grill or roast until fairly tender (about 30 minutes). Put the lentils into a pot with two cups of water. Bring to a simmer and cook until the water is evaporated and the lentils are tender but not mushy. Cut the bacon into 1-inch pieces and cook until crisp. Toss the arugula with the vinagrette. Arrange plates: some arugula, some lentils, bacon, and the fennel. Yum! Optional croutons: Cut some good bread into 1-inch chunks. Dry them out in the oven at a low temperature for about 10 or 14 minutes. Then saute them in a ridiculous amount of butter and bacon fat, with lots of chunky salt and freshly ground pepper. If you make them right, you are basically drenching them in fat and then crisping them up. They are so good, but you see why I sometimes skip this step, and why my kids always want them. This isn’t really a recipe, more a delicious thing to do. Take a really fresh, excellent chevre. Put a disc or a generous spoonful of it onto a plate. Drizzle with a strong local honey. We use a buckwheat honey. You will be amazed at how perfect this combination is! It makes a lovely snack with a cup of tea. 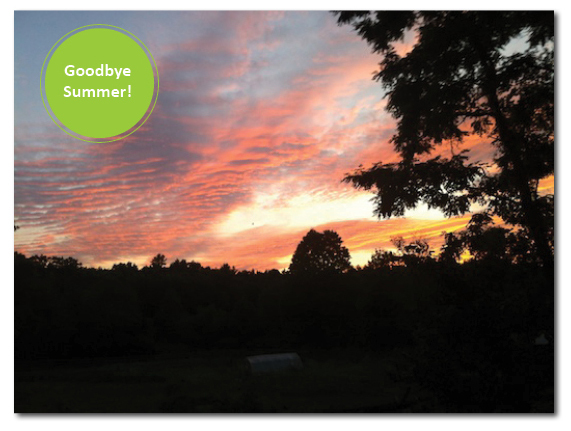 What a beautiful post detailing such a nice summer! Love all of the pictures and the recipe.